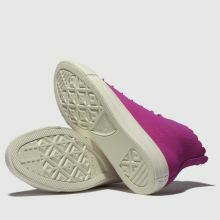 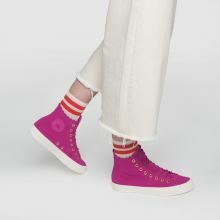 Arriving in a shocking berry pink colourway, this new season Converse profile will give you Frilly Thrills. 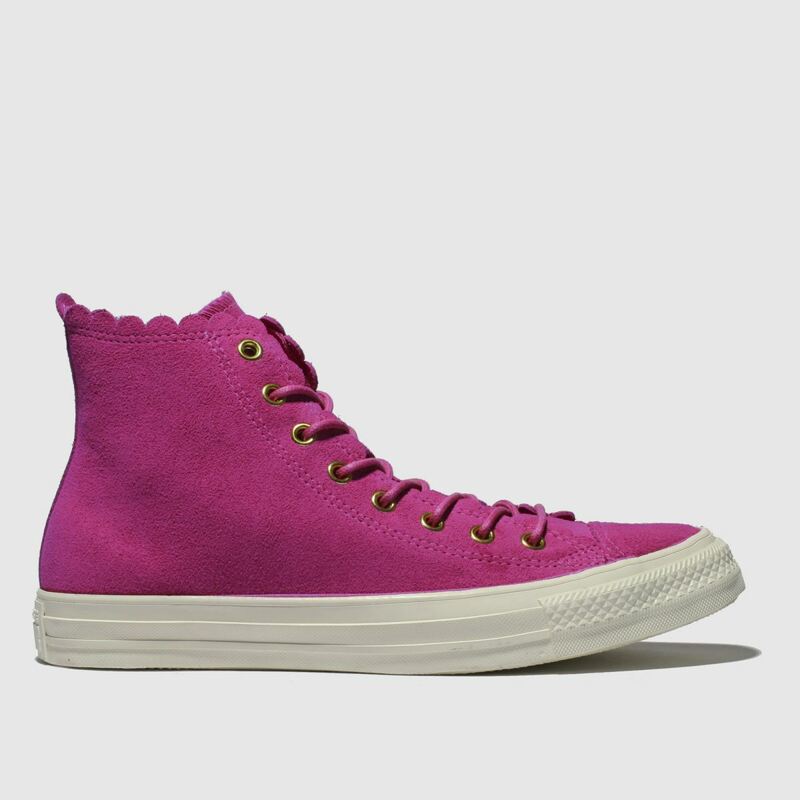 The Chuck Taylor All Star Hi boasts a suede upper with serrated edging for a sweet finish. 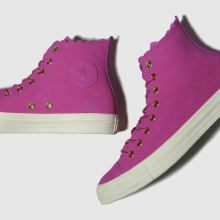 Shiny gold eyelets complete with a glamorous vibe.